Plans are moving forward to establish an "Education Hub" at St Ives Library - with a range of courses. The library will be working in partnership with Workers Educational Association (WEA) Cornwall and other education providers. 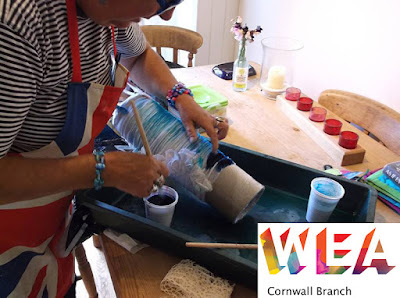 There are two WEA creative crafts courses in St Ives starting in April. 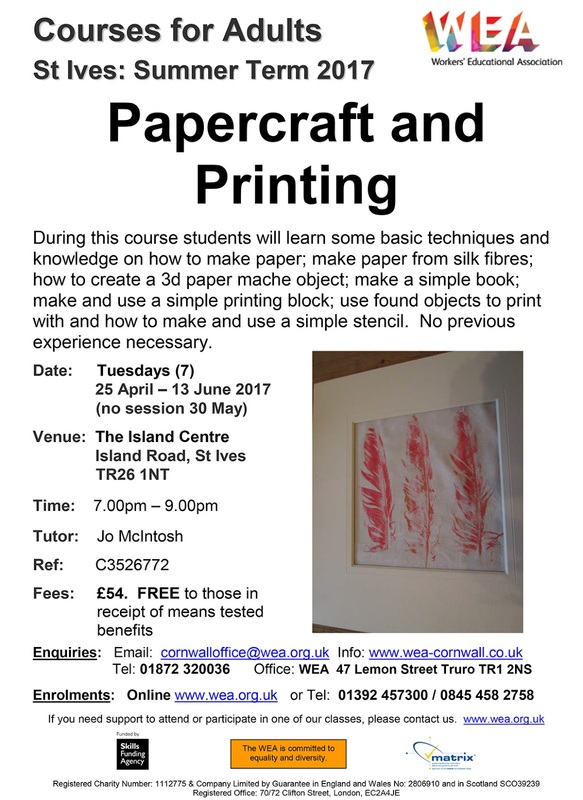 WEA have obtained funding for this - so that all can attend at no cost. But - if you want to attend you MUST book in advance. You cannot just turn up on the day. If there is not enough interest the course will not run. Starts on Wednesday 19th April. 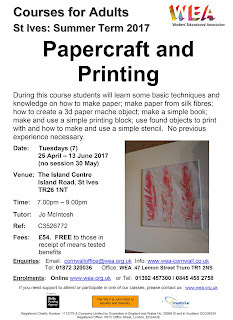 A nine week course - weekly - 1.00 to 3.00 pm. 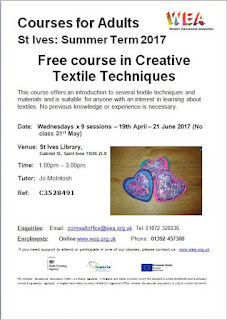 An introduction to several textile techniques and materials. 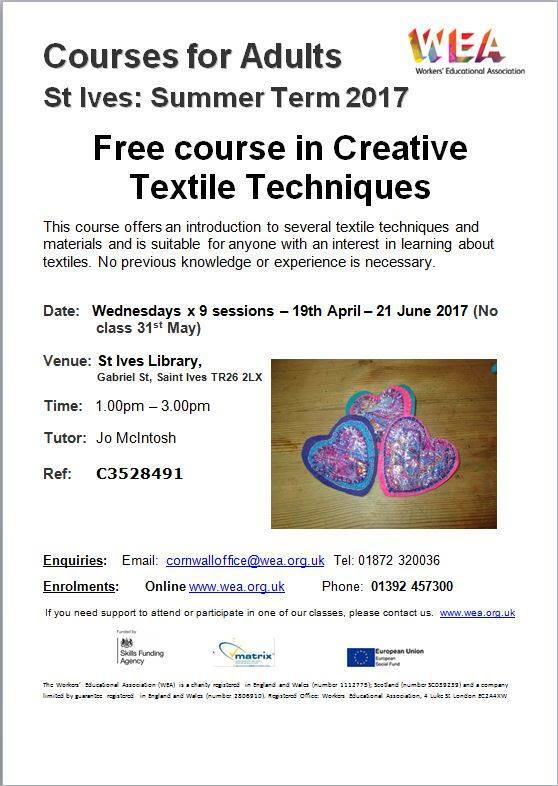 Suitable for anyone with an interest in learning about textiles.